Day one featured a trading floor team-building game, followed by food and drinks at The Ned. 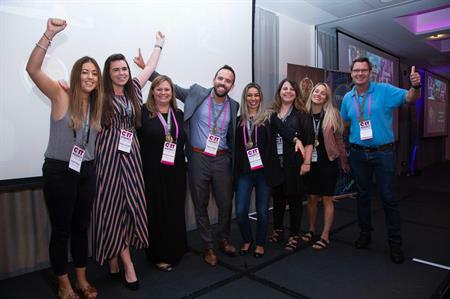 This year’s C&IT Agency Forum at the Barbican Centre in London is well under way, with content sessions, huddles and one-to-one meetings for senior event professionals. Day one kicked off at etc Venues 155 Bishopsgate near Liverpool Street for a trading floor teambuilding game. Guests were divided into teams and instructed on how to "buy buy buy" and "sell sell sell" by Zing Events. Then it was onwards with a short summer evening stroll to The Ned, the former bank turned hotel and event venue, for a welcome reception with cocktails, canapés and bowl food. Wonderful music was provided by female string trio Echo, part of Sternberg Clarke’s roster of entertainers. Day two began with a talk by Rich Wilson, CMO at Relative Insight who spoke about the importance of events in corporate marketing strategy. That was followed by a panel talk with Christina Gilbert, head of operations at Small Planet Group, Dave Greaves, managing director at Make Happen and Ben Hoeksma, account director at BCD Meetings and Events, who discussed event safety, workplace harassment and staff wellbeing. There’s plenty more to come today and before tonight’s drinks reception and gala dinner at One Marylebone.